When starters expanded significantly on the second day, a period of stillness followed, and the appearance of yeast was delayed. Gas-producing bacteria stopped growing when the pH dropped to 4.5, but yeast growth didn't begin until the pH fell to around 3.5, accounting for the period of stillness. Lowering the pH in the initial mixture, by adding ascorbic acid or by replacing the water with pineapple juice, kept gas-producing bacteria from growing and brought about a more timely and predictable result. But it wasn't enough just to find a fix. The problem-solving efforts of my team were creating a buzz which we hadn't anticipated and this thing, like the seed cultures we were creating, was taking on a life of its own. Some were jumping to premature conclusions, and speculation seemed to be spreading as fact. It made me very uncomfortable, because I'd rather be dispelling myths than adding to them. I wanted to find some real answers, and find them fast, so I started making phone calls. I found two local labs that could help me out. One had the capability to identify leuconostocs, and the other to detect lactobacilli and other bacteria of interest. I submitted samples of a day two starter during the big expansion. Both labs found that there were three organisms growing. But there were no lactobacilli or yeasts found, which supports what I observed time after time on microscopic examination. My gas-producer was identified as Leuconostoc citreum. At the time, I couldn't find much information specific to this organism, although it seems to share many characteristics with other Leuconostoc species found in foods. Most will not grow below pH 4.8, and this one doesn't appear to be an exception. Until recently, I could only theorize that the Leuconostoc may actively hinder the process, because the pattern supports it, and because it's not uncommon for microorganisms to produce substances which inhibit competitors. But in updating this article, a new search of the scientific literature finally uncovered the piece of the puzzle I was looking for. Who would have thought the answers would be found in kimchi and sake? It turns out that kimchi fermentation has a lot in common with sourdough development, and mirrors the early days of the seed culture process. Leuconostoc citreum plays a dominant role in the early and mid-phases of fermentation where it causes a slow and prolonged drop in pH, and retards the growth of other lactic acid bacteria. In a study on sake fermentation, Leuconostoc citreum was found to produce bacteriocins (bacterially-produced antibiotic proteins) which inhibit the growth of similar lactic acid bacteria (i.e., lactobacilli). It appears that these bacteriocins linger for a time even after the organism stops growing, although their effect is diluted through successive feeding. A dosage effect would explain nicely the apparent relationship between the vigor with which this bacterium flairs up initially, and the number of days the starter remains still afterward. The higher the rise, the longer it seems to take to recover. In addition to Leuconostoc citreum, there was also a large amount of Aerococcus viridans. The first lab I visited found Leuconostoc to be in the greatest quantity, but Aerococcus was multiplying so fast that it soon passed the Leuconostoc in number. That is important, and could very well have contributed to the delayed progress. Even though Aerococcus doesn't produce gas, and so was not responsible for any of the expansion, it is not an acid producer either. So while it was using up a large share of the available sugars, it was not helping the pH to fall. Aerococcus is an occasional spoilage organism in unpasteurized milk, which is the extent of information that I have found on its involvement in foods. Its lower limit is not given in my reference books, but since pineapple juice seems to keep it at bay, I suspect that it must be in the same ballpark with leuconostocs. I'm still not sure how big a part each of these organisms plays in slowing the progress of a seed culture, but lowering the pH at the outset seems to be a blanket fix. I mentioned in Part 1 that some of the bacteria were flipping, twirling and zipping around under the microscope. Those were Enterobacter cloacae. Enterobacter produces gas, but since it was present in only a scant amount compared to the others, I think it safe to say that the Leuconostoc was responsible for the majority of it. However, Enterobacter contributes to an unpleasant odor, as do Aerococcus and Leuconostoc. Because some people report a very stinky smell and others not as much, I'd have to say that even among starters that grow Leuconostoc, not all necessarily have the same combination of bacteria. There are others that can grow as well. Results vary from flour to flour and year to year, because the number and species of microorganisms are influenced by conditions relating to weather and grain crop production. I wish I could have all the organisms identified at every stage, but there aren't any laboratories in my area that are equipped to identify wild yeasts or sourdough bacteria. And even if they could, the cost would be prohibitive. I was fortunate to be in a position to have two of the organisms identified as a professional courtesy. With the additional information, and having watched the drama unfold under the microscope, I started seeing the seed culture process not as good guys out-competing bad or gradually increasing in number, but as a natural succession of microorganisms that pave the way for "the good guys" in the way that they transform their environment. There are bacteria in flour that prefer the more neutral pH of freshly mixed flour and water (like Leuconostoc and company). They are the first to start growing, some producing acids as by-products. This lowers the pH, and other bacteria begin to grow; they produce their acids, lowering the pH even more. It soon becomes too acidic for the first batch and they stop growing. One group slows down and drops out as the next is picking up and taking off. Each has its time, and each lays the groundwork for the next. It's much more like a relay than a microbial free-for-all. The baton is passed to the next group in line as conditions become suitable for them. The acidity increases a bit more with each pass, and the more acid-loving bacteria can eventually take over. The appearance of yeast seems to be tied in some way to low pH---maybe directly, maybe indirectly, but the correlation shows that it isn't random in the way that "catching" yeast from the air would be, or their gradually increasing in number. In the late fall/early winter of 2004, I was coaching a group of women on Cookstalk, Taunton's Fine Cooking forum, and I noticed something else. My starters sort of liquefy the day before yeast starts to grow. Gluten disappears, which shows the work of proteolytic enzymes. At first I thought it signaled the appearance of lactobacilli and their proteases. But now I think it was simply an indicator that the pH had dropped low enough to activate aspartic proteinases, pH-sensitive enzymes abundant in wheat. Because I prefer to seed a new culture with whole grain flour for at least three days, there are more cereal enzymes present than in a starter fed with white flour (most of them are removed with bran in the milling process). But either way, it is a good sign of Lactobacillus activity, whether by production of bacterial proteases or by the organism's effect on pH and activation of cereal proteases. "There has been nice work done in Rudi Vogel's lab on the microflora of a freshly started sourdough: first, there are enterobacteria (Escherichia coli, Salmonella, Enterobacter), highly undesirable organisms that stink terribly. Then there are homofermentative lactobacilli (good lactic acid producers, but they don't produce gas or acetic acid), then acid-tolerant, heterofermentative lactobacilli that make lactic and acetic acid, as well as CO2. I think this took about forty-eight hours at 30ºC in Vogel's study. The stink at the beginning does not matter as the organisms will be diluted out or die eventually. No L. sanfranciscensis appears by forty-eight hours, though: these will occur only after repeated refreshments. Peter Stolz told me that it takes about two weeks of repeated inoculations to get a good 'sanfranciscensis' sourdough." That paragraph didn't have any special significance for me until I had gotten to this point. But when I read it again, I had one of those aha moments. Not only did this describe a succession, but it filled in some of the blanks, and I could see clearly how all these microorganisms related to the four phases I had defined. Here is the updated version marrying the two. You don't need a microscope for this, because there are outward signs which serve as useful indicators of progress. For the first day or so, nothing really happens that is detectable to the human senses. It doesn't taste any tangier or develop bubbles. It remains looking much the same as when it was mixed, except a little lighter in color if an acid was used, and a little darker if not. While nothing appears to be happening, the first wave of bacteria (determined by pH and the microflora in the flour) are waking up, sensing their new environment and preparing to grow. This phase usually lasts about one day, sometimes two. The starter will begin producing its own acid and develop a tangy taste (although it might be difficult to distinguish from pineapple juice). Lactic acid bacteria are actively growing at this point. When using only water, this phase represents two waves of microbes---first Leuconostoc and associates, followed by homofermentative lactobacilli and possibly other lactic acid bacteria. By controlling the pH, you can by-pass the leuconostocs and other "highly undesirable organisms that stink terribly," and skip to the second wave. It will get bubbly and expand only if the pH is not low enough to prevent growth of gassy bacteria, otherwise there won't be much to see. There probably won't be much gluten degradation, and it may smell a little different, but it shouldn't smell particularly foul unless started with plain water. This phase can last one to three days or more. If it is going to get hung up anywhere, this is the place it usually happens, especially if it is put on a white flour diet too soon. If after three days in this phase, it still doesn't become more sour and show signs of progress, the best thing to do is switch back to whole grain flour for one or more feedings. Whole grain flour has a much higher microbial count and will re-seed the culture and get it moving again. The starter will become very tart---an indication of more acid production by more acid-tolerant bacteria. The gluten may disappear and tiny bubbles become more noticeable. These are signs that heterofermentative lactobacilli have picked up the baton. Once a starter becomes really sour, it usually transitions right into phase four. Note that lactic acid doesn't have much aroma, and so smell is not a reliable way to judge the level of sourness. Yeast start to grow and populate the starter relatively quickly at this point. It will expand with gas bubbles all over and begin to take on the yeasty smell of bread or beer. "Although spores are metabolically dormant and can remain in this state for many years, if given the proper stimulus they can return to active metabolism within minutes through the process of spore germination. A spore population will often initiate germination more rapidly and completely if activated prior to addition of a germinant. However, the requirement for activation varies widely among spores of different species. A number of agents cause spore activation, including low pH and many chemicals... The initiation of spore germination in different species can be triggered by a wide variety of compounds, including nucleosides, amino acids, sugars, salts, DPA, and long-chain alkylamines, although within a species the requirements are more specific. The precise mechanism whereby these compounds trigger spore germination is not clear." What this means is that for dormant cells to return to active growth (germinate), they need to break dormancy (activate) which is initiated by different things for different species. In the case of these wild sourdough yeasts, if all they needed were food or oxygen, which are there from the get-go, then they would start growing immediately. The fact that they don't, is probably why many people think they need to be caught from the air, or that large quantities of flour must be used to round up enough of them. There are enough dormant cells present even in relatively small quantities of whole grain flour, but it's like a game of Simon Says. You can try to coax them into growing, with food and all the things you may fancy to be good for actively growing yeast. But they're not active. They are dormant, and will remain so until they receive the right message from their surroundings. Compare this to the plant seed that sits in soil all winter long, waiting until spring to sprout, when conditions are most favorable. Is it a survival mechanism? I don't know, but waiting for the pH to drop does increase the likelihood that the yeast will wake up in the company of lactobacilli, with which they seem to share a complex and mutually beneficial relationship. It is also important to point out here that active sourdough yeasts thrive in a much wider pH range than what appears to be required for activation of dormant cells. The point to keep in mind is that active and dormant cells are physiologically and metabolically different, which also means their needs are different. This pattern of growth is not unique to the formula in the Bread Baker's Apprentice. I have seen the same progression, in whole or in part, with all the starter formulas I've tried. And it doesn't really matter how much flour you start with. In fact this can be done with very small quantities of flour. All else being equal, it proceeds just as fast with a teaspoon as it does with a pound. Procedures that call for two or three feedings per day, or large refreshments before yeast are active, can actually get in the way of the process. Overfeeding unnecessarily dilutes the acid, which slows the drop in pH, and keeps it from moving through the succession of microorganisms in the timeliest manner. But while it can take up to two weeks or more this way, with Mother Nature as the driving force, things do fall in line eventually. It's just a question of when. Three to five days is about all it really takes to reach the yeast activation stage at average room temperature, somewhat longer if Leuconostoc and associates grow. The strategy is quite different from reviving a neglected starter, which is likely to have an overabundance of acid, and a large population of yeast and sourdough bacteria, however sluggish they may be. So, what can we do instead to facilitate the process? Start by providing conditions for the first two to three days which are favorable to lactic acid bacteria. A warm spot if you can easily manage one (but not too much higher than 80ºF), and a reasonably high hydration (at least 100%). Use pineapple juice if you like, to bypass the first round of bacteria. (Or use water if you prefer, and don't mind the odors and delay.) Feed with whole grain flour until yeast are actively growing, not for the wider spectrum of sugars it may offer, but for its higher numbers of yeast and lactic acid bacteria to seed each phase in its turn. Don't feed too much or too frequently, so as to allow the acids to accumulate and the pH to fall more rapidly. The ideal feeding quantity and frequency would depend on the temperature, hydration, and how fast the pH is falling. However, I usually recommend once a day at room temperature, simply because it is the easiest to manage, it works, and the daily manipulation helps to keep mold from getting started. Mold is the biggest stumbling block for procedures in which a young mixture is allowed to sit idle for two or three days at a time. Turning surface mold spores into the center by re-kneading or stirring and scraping down the sides daily, is the best way to get around it. Mold is not inhibited by low pH or pineapple juice, and anti-mold properties don't fully develop until sourdough is well established. While you don't actually need a formula to do this, no article on making sourdough starter would be complete without one. This procedure was designed with simplicity in mind, to be efficient, effective, and to minimize waste. It was developed with the participation of four willing and very patient women whom I worked with online---DJ Anderson, Karen Rolfe, Deanna Schneider and the still-anonymous 'lorian,' whose plea for help is what renewed the quest to find a better way. I learned a great deal from the feedback they gave me as we worked out the kinks, and this formula is a tribute to them. There is nothing magic about the two tablespoons of measure used throughout the first three days. Equal weights didn't provide a high enough ratio of acid to flour to suit me, and equal volumes did. Two tablespoons is enough to mix easily without being overly wasteful (and just happens to be the volume of an eighth-cup coffee scoop, which is what I kept on the counter next to the flour and seed culture for quick, easy feeding). These first few days don't really benefit from being particularly fussy with odd or precise measuring, so make it easy on yourself. Keep it simple, and let Mother Nature do the rest. 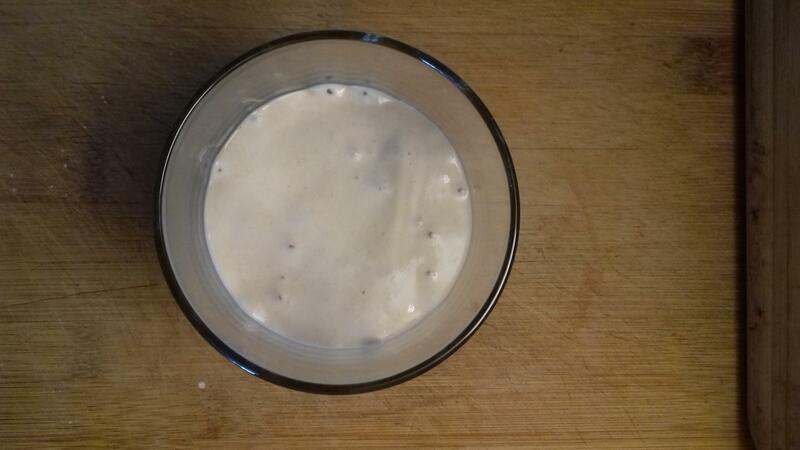 Day 4: (and once daily until it starts to expand and smell yeasty), mix . . .
* Organic is not a requirement, nor does it need to be freshly ground. ** You can feed the starter/seed culture whatever you would like at this point. White flour, either bread or a strong unbleached all-purpose like King Arthur or a Canadian brand will turn it into a general-purpose white sourdough starter. Feed it rye flour if you want a rye sour, or whole wheat, if you want to make 100% whole wheat breads. If you're new to sourdough, a white starter is probably the best place to start. On average, yeast begin to grow on day 3 or 4 in the warmer months, and on day 4 or 5 during colder times of the year, but results vary by circumstance. Feed once a day, taking care not to leave mold-promoting residue clinging to the sides or lid of your bowl or container, and refer back to the different phases to track progress---particularly if it gets stuck in the second. 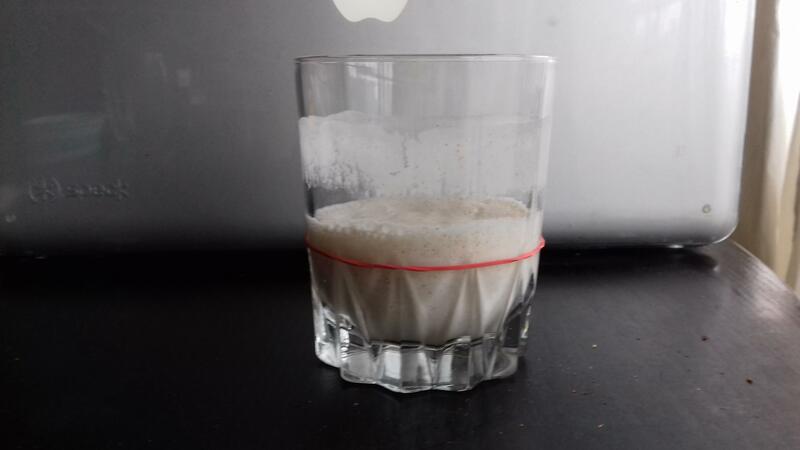 Once you have yeast growing (but not before), you can and should gradually step up the feeding to two or three times a day, and/or give it bigger refreshments. Before yeast, don't feed too much; after yeast, don't feed too little. This is the point at which I generally defer to the sourdough experts. There are several good books on sourdough which address the topic of starter maintenance and how to use it in bread. Just keep in mind that the first days of the seed culture process have nothing to do with developing flavor or even fostering the most desirable species. The object is simply to move through the succession and get the starter up and running. The fine-tuning begins there. Once yeast are growing well, choose the hydration, temperature and feeding routine that suits you, and the populations will shift in response to the flour and conditions that you set up for maintenance. 1. Choi, In-Kwon, Seok-Ho Jung, Bong-Joon Kim, Sae-Young Park, Jeongho Kim, and Hong-Ui Han. 2003. Novel Leuconostoc citreum starter culture system for the fermentation of kimchi, a fermented cabbage product. Antonie van Leeuwenhoek 84:247-253. 2. Kurose, N., T. Asano, S. Kawakita, and S. Tarumi. 2004. Isolation and characterization of psychotrophic Leuconostoc citreum isolated from rice koji. Seibutsu-kogaku Kaishi 82:183-190. 3. Doyle, Michael P., Larry R. Beuchat, and Thomas J. Montville. 2001. Fruits, Vegetables, and Grains, p. 135. Food Microbiology Fundamentals and Frontiers, 2nd ed. American Society for Microbiology Press, Washington, DC. 4. Katina, Kati. 2005. Sourdough: a tool for the improved flavour, texture and shelf-life of wheat bread, p. 23.VTT Technical Research Centre of Finland. 5. Wing, Daniel, and Alan Scott. 1999. Baker's Resource: Sourdough Microbiology, p. 231. The bread Builders. Chelsea Green Publishing Company, White River Junction, VT.
6. Doyle, Michael P., Larry R. Beuchat, and Thomas J. Montville. 2001. Spores and Their Significance, p. 50. Food Microbiology Fundamentals and Frontiers, 2nd ed. American Society for Microbiology Press, Washington, DC. 7. Arendt, Elke K., Liam A.M. Ryan, and Fabio Dal Bello. 2007. 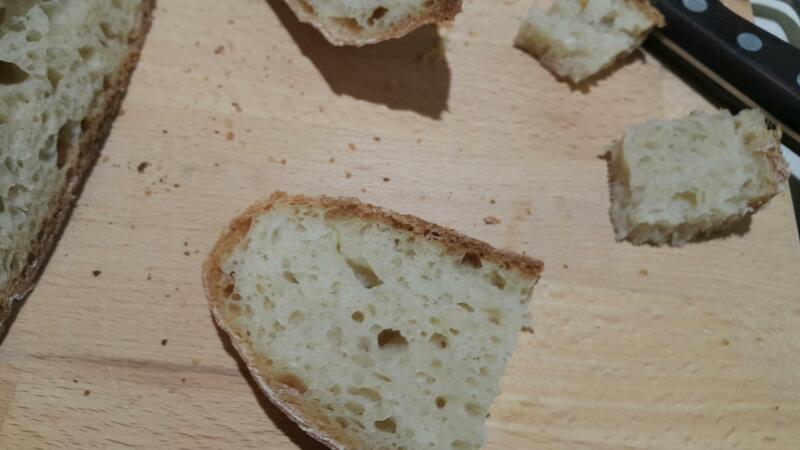 Impact of sourdough on the texture of bread. Food Microbiology 24:165-174. This article was first published in Bread Lines, a publication of The Bread Bakers Guild of America. Vol. 16, Issue 2, June 2008. Hi Deb, I'm new to baking and wanted to use a sourdough starter in some of my bread baking. I am in the process of making a starter from KAF. It contains steps 1thru 6. While researching I came across your "Pineapple juice solution". It looked so much simpler in terms of the amount of flour to use "1cup" In the KAF starter. A lot of flour for 6 steps and the maintenance following. Your credentials and story are enough to convince me to "chuck" the KAF starter. In addition, when do I tell that a a starter is ready for use? You could even reduce it to 1, 1/2, 1/2-oz if you have a container of an appropriate size and shape --- 4x the refreshed volume, taller than wide (an 8-oz jelly canning jar is perfect). Just use the same ratio. Once the yeast join in, reduce the starter in the feeds, or increase the flour/water, and/or start feeding it twice a day. 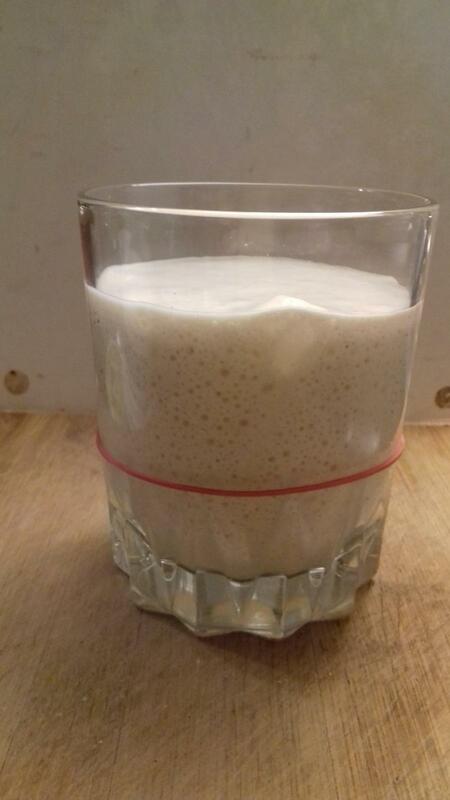 The starter is ready to raise bread dough when it can raise itself. Thank you so much for your explorers’ spirit! Here I am in 2017 reading comments from 2009!! I just purchased a dehydrated SF sourdough culture in Wheat Flour. Is your “Pineapple” solution procedure appropriate for a dehydrated culture? Would I substitute 2 T. of the dehydrated culture in Wheat flour for the “2 tablespoons whole grain flour” in the DAY 1 step of your procedure? Then all subsequent steps of your procedure are the same? Mix and store at 70 – 80 deg. F. Mix down sides of container to retard mold growth. Use at least 100% hydration. Is your “Pineapple” solution procedure appropriate for a dehydrated culture? Would I substitute 2 T. of the dehydrated culture in Wheat flour for the “2 tablespoons whole grain flour” in the DAY 1 step of your procedure? Yes, that sounds like the way to do it. How much dehydrated culture do you have to play with? You can scale the pineapple juice to match what you have. Or if you have enough, substitute it for the first 3 days, or however many days you can (2 Tbl / day). If not, you can make the initial mix and just stir and scrape down once a day for the first 3 days or until it starts to expand, whichever comes first. It doesn't need to be fed until it shows signs of life, but it does need to be manipulated to protect against mold. Then all subsequent steps of your procedure are the same? Since the purpose of the whole grain flour is to seed the starter with microorganisms -- which you don't need or want if your powder is viable -- I would skip the whole grain and use just white flour whenever it's time to feed. If it's viable, I would expect to see some action within the first 3 days, otherwise you're probably just culturing the flour. Let me know how it goes. I took your advice and things are great. But honestly, I will not celebrate till I actually use the starter!! Day 1: The purchased powder was 29 gm so I mixed it with 29 gm. Of pineapple juice. The next day a few bubbles. Day 2 and 3: I added 29 gm. of AP-KA and 29 gm. of pineapple juice. More bubbles and on day 3, a rise of ‘3/4”. Day 4 plus 2 weeks: Divided the starter in half. Fed one starter with AP-KA and the other Whole Wheat-KA. In general the AP starter doubles in size in 2-3 hours; the whole wheat in 3-5 hours – but sometimes a little short of double. Tomorrow- will feed and refrigerate. Make sure you're giving enough fresh flour and water in proportion to the ripe starter you're feeding each time. (Reduce the inoculation and/or increase flour and water.) The quick doubling time and low peak are signs they may be underfed. Wind the clock forward to a week ago, and I thought I'd give it another try - using wheat this time. I thought the answer might be to maintain the starter at the ideal temperature for yeast reproduction: 28 deg C, according to the graphs I found. So last weekend I made a thermostatic waterbath using a cheap aquarium heater, and started 'incubating' a 50/50 mix of stoneground wholewheat and water. In fact having started out with plain water I decided to tough it out and continue that way... mostly out of stubbornness but I also thought a proportion of dead bacterial 'compost' might provide useful material for yeast cell growth. Anyhow - thanks for being a voice of scientific reason amid a world of hocus pocus!! I was delighted when after two days it exploded into life - but OMG the stench. Yep. The stinky bacteria love warmth, especially enterobacteria. I'm sure things are looking great by this point. Now starts the process of learning to bake with it. "Time to adjust feeding... Make sure you're giving enough fresh flour and water in proportion to the ripe starter you're feeding each time. (Reduce the inoculation and/or increase flour and water.) The quick doubling time and low peak are signs they may be underfed." Thanx for the feedback! I have already moved on to weekly maintenance feeding (so far so good) so I cannot adjust the proportion of flour I was using for the "Starting a Starter" procedure. My whole wheat culture must have been hungry; and I was trying not to over feed! Is this advice applicable to anytime you are feeding a starter and you observe quick doubling time and low peak? In your experience what are the characteristics of a GREAT starter? AND what things can you do to keep it on track? I cannot adjust the proportion of flour I was using for the "Starting a Starter" procedure. My whole wheat culture must have been hungry; and I was trying not to over feed! You're only starting a starter until yeast activate. Once yeast are growing, you're maintaining the starter. Before yeast, don't feed too much; after yeast don't feed too little. You need to take into account the consistency as well. 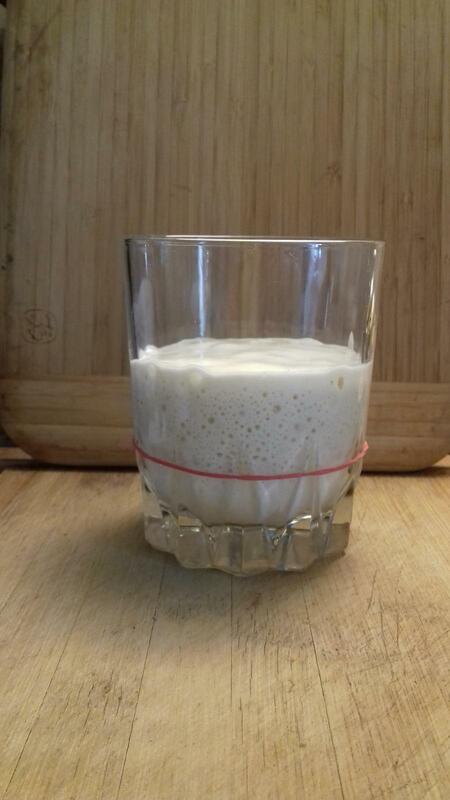 The hydration and gluten-forming potential of the flour do factor into how high a starter can rise. If it stays at peak for a long time, it means that the gas is escaping as fast as it's produced, but the culture is vigorous and probably still growing. Wait until it starts to recede to call it done. If it peaks early and starts falling relatively soon after, that shows the yeast are slowing down and heading into stationary phase. The longer it's left in stationary or death phase, the more leavening power you lose and the more acidic and/or off it can become. Bigger or more frequent refreshments are in order. I look for a good, strong and consistent rise, because I like light, open-textured bread. I also appreciate good fragrance, because that goes hand-in-hand with good flavor. Both those things depend on consistent and adequate refreshing. I also find I get different aromas with different brands of flour. "50F won't arrest the organisms as much as lower refrigerator temps, so it would not be my recommendation for storage, but it can be a useful temperature to use whenever you're trying to reduce the sour and create a milder starter,"
Where does the sour flavor come from? As byproducts of manufacturing simple sugars, lactobacilli produce flavorful organic acids: lactic acid, which adds a rich, mellow flavor to bread; and to a lesser degree over a longer period of time, acetic acid, which gives sourdough bread its sour tang. To take a short deep dive here, there are two types of lactobacilli: homo-fermentative, which produces primarily milder-flavored lactic acid (think yogurt); and hetero-fermentative, which produces lactic acid, but also stronger-flavored acetic acid (think vinegar). Since homo-fermentative lactobacilli do well at room temperature, dough raised at room temperature will generally yield a milder-flavored bread. Hetero-fermentative lactobacilli prefers temperatures around 50°F; so raising bread dough in a cooler spot (as cool as the refrigerator) will bring out its vinegary acidity. By varying the liquid/flour balance of your starter, and the temperature at which it's fed; as well as the temperature and duration of a sourdough loaf's rise, you can make sourdough bread that's richly flavored, with barely a hint of sour; or one that's truly mouth-puckering. Debra, if I understand what they are saying it seems that the specific lactobacilli that prefers the 50°F temps would in fact develop a stronger flavor starter - not a milder one. Also, I fully understand how to go about growing and feeding a starter at room temps using your PJ recipe, but how would you grow a starter at 50°F temps? Would you follow your same guidelines (days 1 - 4) but just store the mix at 50°F? Thank you JLA956. I really like the folks at King Arthur, but that whole passage on sourdough flavor is misguided. Perhaps this will help. Note that 50-65º is the typical maintenance temperature for keeping a desem starter (a mild 100% whole wheat), or retarding temperature (50-55ish) for a preferment or bread dough. I don't recommend trying to create a new starter at 50º. If reducing acidity is what you want once your starter is up and running, then refreshing your starter more frequently, or reducing hydration are what I'd recommend. Refreshing regularly while maintaining a starter at cave temps eliminates sour, but I find the flavor to be kind of odd. Hello, please advise me: what if I keep my sourdough starter in 82F all the time, from the beginning, through everyday feeding, till the end of fermentation? 82 is fine. You might need to refresh 3 times per day to keep leavening strong though. Keeping it stiff would help. Or you can add baker's yeast when needed. I have built a chamber where I can keep stable temperature at any level above room temperature (in my case 68F). So I have the chamber with e.g. 82F, my room with 68-70F and icebox with ca 42F. I bake every second day a whole weat bread. I wonder what would be the perfect procedure for maintaining my whole weat (spelt) sourdough starter. Hey Michal, I was wondering if that was you. How did your article turn out? Of course with sourdough, there isn't a perfect procedure. Whole grain presents its own challenges, and 82F will tend to magnify them. But you'll just have to experiment with hydration, refresh rate and frequency along with the temperature to find what you like and what works well with your flour. If what you're doing is giving you the breads that you like, then there's no need to change anything. In maintaining your mother: feed it more often, bring the temperature down into the mid to low 70's, or firm it up. With the levain, you can keep the fermentation time relatively short (like 4 hours) with a smaller refreshment, or use a little less mature, or add a bit of the salt. I'm so glad you're still here! I've been reading these posts for over a week, have only made it to page 3. But I've reached a point where I need to come out of hiding and ask questions, because I get the feeling things are happening on this end. First of all, thank you Debra, and all the other knowledgeable contributors to this site. I've learned (I think) a good deal -- enough to get me over the Fear of Starter. And the time you all devote to supporting each other is admirable! Stumbling upon BobS's fun and informative "Life with Fred" series -- and his elegant solution to maintaining a starter with practically no waste -- led me to you. I came here and decided to take the plunge and see if I could bring a starter to life. So, Debra, I followed your pineapple juice formula, using rye flour and said juice. Things seemed pretty calm and predictable the first few days, as you promised they would. But now things look like they're happening while I'm not looking, and I'm not sure now what I should be doing next. We're up to Day 10. So my question is: "now what"? It looks like things expand tremendously very quickly after feeding, and then settle back down, but to a bit above the rubber band marker. I just took a peek at it, and the top surface isn't as smooth: I mean there are still lots of little bubbles, but it looks like the top surface has hills and valleys, instead of being a lake. Am I making sense? Ever since Day 4, 50g of starter has been mixed with 25g of spring water and 25g of T65 flour (is that white whole wheat? bread flour? these denominations have been very confusing for me! ), then decanted into a clean mustard glass, both to avoid gunk along the sides and to air the entire works. Hoping to hear from you soon, because Bonne Maman is due for a feeding in about an hour or so. Thank you again for all your neurons! Bubbles on bubbles, with fissures forming? That's the way I would describe a nice vigorously active starter that is ripe and ready. :-) You can start baking with it any time, but be prepared for a learning curve if you've never worked with sourdough before. You will need to up the feeding now to keep it strong. Less starter, more fresh flour and water; two feedings a day approximately every 12 hours. You're at 2 parts starter to 1 each flour and water now. Try 2 starter : 3 water and 3 flour. If that does well, work up to 1 part starter : 5 parts each flour and water. I don't know much about T65 flour, but if that's what you have, I know no reason not to use it. The choice is entirely yours. Really? This is it? How cool is that? I wouldn't say fissures: we're talking gently rolling hills and valleys, as opposed to canyons. Texture seems a bit less liquid, slightly tacky. It's the learning curve (and my tendency to let things take care of themselves) that scares me. For instance, for your recommended 2:3:3 regimen, can I knock that down to 20g of starter and 30g each of flour and water, to keep the weight at 100g (or even less to limit waste)? Twelve-hour cycles might be a bit problematic; do you think she would forgive me if I stretched it to 14? At what point would we then switch to the 1:5:5 routine? And could that then mean something like 9g starter and 45g each of flour and water? I won't even ask now when she'll be all grown up and can survive life in the fridge with just a weekly feeding, like Fred! I've also accumulated a large mustard-glassful of discard -- it doesn't smell or taste foul, as a matter of fact, there's still a tang of pineapple juice to it. Is this the stuff they say can be used for pancakes and waffles? T65, along with T55, are what are considered all-purposes flours here in France, with T65 being slightly less refined than T55, which is used for things like white bread and pastries in general. T65 is more often used for what the French call country bread, slightly beige, but not nearly as beige as a T80 loaf would be. I believe that the T is the extraction rate, with 65 relating to the percentage of ash. Protein content per 100g is 9.9g. And now you know as much about T65 flour as I do! Thanks again for all the encouragement! May I keep you posted? 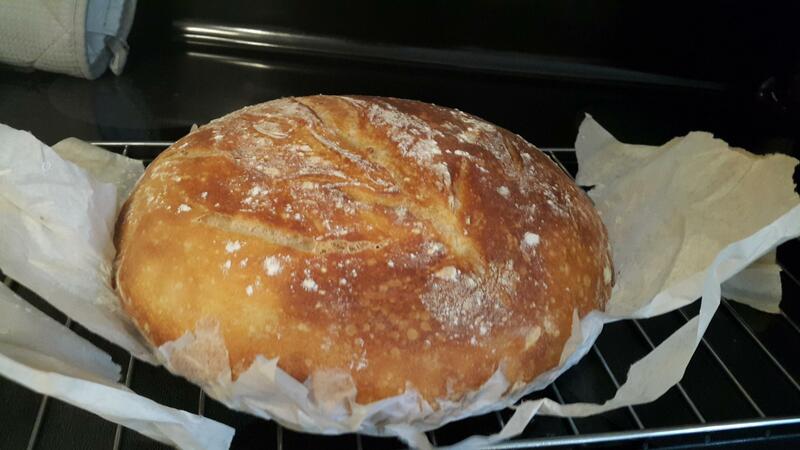 Oh, I'm not just new to sourdough, I'm new to bread baking -- so yes, a learning curve, or several! I wouldn't say fissures: we're talking gently rolling hills and valleys, as opposed to canyons. When the starter bubbles up well (the hills), sometimes you'll see it folding in on itself (in the valleys). It's those fold lines I mean. Some bakers refer to them as cracks, but they are more readily seen in a large container or vat, that in a small jar. for your recommended 2:3:3 regimen, can I knock that down to 20g of starter and 30g each of flour and water, to keep the weight at 100g (or even less to limit waste)? Twelve-hour cycles might be a bit problematic; do you think she would forgive me if I stretched it to 14? At what point would we then switch to the 1:5:5 routine? Try it now. If it matures by the next feeding time, keep with it. If it doesn't drop back a little to a lower rate. You aren't going to hurt it. And could that then mean something like 9g starter and 45g each of flour and water? Yes. Or 5, 25 and 25 if you want to keep it even smaller. But use an appropriate size/shape container --- about 4x the volume newly refreshed, preferably taller than wide. It takes a few weeks for a new starter to settle into its equilibrium. The microbes are still going through additional succession as the pH gradually moves back upward. They can actually change farther out than that (one study tracked for 56 days), but they often get more fragrant and vigorous at around two weeks, so at least give it that. Fragrance translates to flavor and vigor to lift, so why cut it off at the knees? Debra, I think it's a beautiful baby! Just a couple of snaps to make sure I'm on the right track; the fissures you mention haven't shown up yet. More like sand dunes. The 2:3:3 regimen started last night, these pix were taken about six hours after the morning feeding. So thank you again -- you've been a marvelous midwife! My question "what now" remains: I see all this talk of peaking, refreshment cycles and builds and feel a bit lost. Any guidance (although I realize that we're no longer, strictly speaking, in the realm of starter creation). 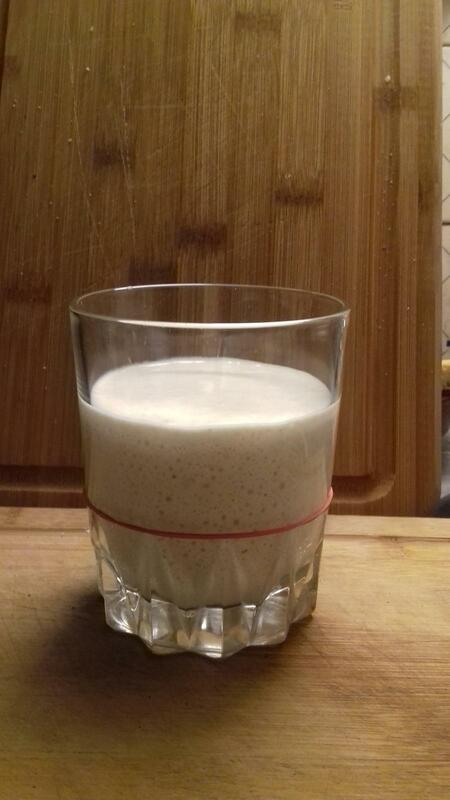 If I see a recipe that wants 50g of 100% hydration starter, I take 40g out of the glass and mix it with 5g of flour and 5g of water, then feed the 10g left in the glass at 1:5:5? Am I totally off the mark here? Thanks again for your infinite patience. First of all, thanks to you Debra and to everyone who has posted on this blog/thread. It has been immensely helpful and quite educational. I have always been a bread maker but decided finally to attempt sourdough. I started my starter using Hamelman's recipe (very high hydration and rye flour). It worked well for me, and within a few days progressed from stink to something that smelled like the familiar sourdough smell of that sourdough bakery on Fisherman's Wharf. The problem that I had with Hamelman's recipe was with the extremely high hydration (125%), I could never get a sense of how much it was rising, so the concept of replenishing the starter just after it had pulled back from it's highest rise remained foreign. When I used it in recipes, it had a hint of sour taste, but not much more than that. Based on advice in this thread I converted the starter to 80% hydration, and it made all the difference in the world. The sourness was quite a bit more pronounced and the rise of the Starter was quite obvious. It rises so much now that I'm a little concerned that it might have gotten "contaminated" with my SAF yeast (I don't know how likely it is that SAF would live and outcompete the other yeasties in that lower pH environment). I have been making breads with starter and about 1/8 tsp of SAF, but I'm pretty sure that I could go pure levain and get all the rise that I need. The other thing that I have done, to no apparent harm, is feed the Starter only once per day. Each morning I leave 50g in the tub and replenish with 100g flour and 80g of the coldest water that comes out of the tap. Sometimes I'll even add an ice cube. It's generally about 58 degrees F out of the tap this time of year. So far, there doesn't seem to have been any negative ramifications. I've been a little concerned about moving the starter to the refrigerator, but I guess the worst case is just preparing a new starter. Thanks again to everyone, and happy bread baking. It's my first post here at TFL, I found very interesting your thread about "pineapple solution" on new sourdough starters but my problem is a bit different.. Recently my sourdough seems too much proteolityc (it degrades the dough very rapidly..and when I fold it it simply rip off! ), when young it smells like rotten vegetable, in some cases like rotten eggs, but at the end of the maturation (approximately 8 hours ar RT with 1:2:2) it smells like ripen fruit.. I used young (with the rotten smell) and old (with the ripen fruit smell) but nothing changed..so I decided to start another sourdough. What I want to ask you is that: is there a way to "cure" an old sourdough and get rid of bad bacteria? Is the smell of rotten eggs (sulfurous) typical of "Leuconostoc" or can be other bacteria instead? I really can imagine what could be the problem with my sourdough.. I don't want it smell like rotten "something"..even if it's at his younger stage!! Is there a cure for that? This sometimes happens to a starter in a transition state where something has upset its balance and stability. Like a change in temperature, or hydration, a different flour, or maintenance regimen; as well as new starters that haven't stabilized yet. Or even established starters that have gone "off" due to underfeeding or neglect. It's temporary. Leuconostocs are not known for sulfurous odors. They will more often smell like sour milk or rotten cheese, are inhibited by alcohol, and don't grow at pH's less than 4.8 (which excludes a majority of established sourdough starters). They are ever-present, because they're abundant on plants and in flour, but not growing or contributing to any degree. Wild yeasts are known to produce fruity aroma compounds (and possibly the bacteria too) -- more-so as their environment becomes hypoxic and depleted. So that could be a clue. Dough ripping (gluten breaking?) as you fold it sounds like proteolysis. Excessive proteolysis comes from fermenting too long, especially whole grain and conditions that are too acidic for it. Rotten egg smell is associated more with thiol compounds. Different beasts, but no matter -- the fix is the same either way. Consistent and adequate feeding is the cure. If you've recently made a deliberate change to your routine, continue and give it time to complete the transition. But if you've been underfeeding, what I recommend is stepping up your feeding to 3 times a day just for now, if you can, or do a bigger feeding twice/day if you can't. Feed at peak, before it collapses, and adjust refreshment rates accordingly. When you can't manage at least two feedings, park it in the fridge to slow it down in between. The objective is to not allow chronic over-ripeness. It generally takes around 10 days to reach the tipping point on the offending organism, but the transformation is often dramatic and relatively sudden. It can appear to be in sort of a holding pattern for several days, and then change almost all at once, indicating when more desirable organisms have taken the lead. It requires some patience, and diligence (and faith in the process). But starting over from scratch doesn't necessarily help, and doesn't get you to stability any faster. Thank you for the answer, I Will study carefully what you wrote, in the meanwhile Ì starter a new SD and things same to do better now I realised that SD need attention and a costant feeding schedule. I read all and now I think all is clear for me..
A mix of "proteolytic" and "thiolic" SD was surely the cause of my problems..due to a "strange" way of feeding and lack of patience and diligence on growing my SD. But I have one last question to clear to myself, you often talk about "yeasty" smell of SD..but what does it mean? How "yeasty" smell look like? Yeast has a unique smell. If you've ever used fresh yeast, you know what it smells like -- or dry yeast blooming in water. As it ferments flour, it produces that bread-y or beer-y aroma, as opposed to a sour, or wet flour smell reminiscent of pancake or crepe batter. You may only be able to detect the bready or beery fragrance if other aromas are masking the smell of the yeast itself. But if you can't tell by smell, a good rise is another indicator that yeast are active. I think I really experienced yeasty smell then! I only confused with "over-ripe" SD..It seems alcoholic to me..and when It happens the SD show really a good signs of activity. My question is about reviving a dried starter. There are instructions online about how to dry up an active starter to preserve it, and I can't help but wonder: as the whole population is sent into a dormant stage, doesn't that produce basically the same starting point as dormant cultures on fresh wholemeal flour? There may be a lot more in the dried starter, but isn't the wake-up process basically the same? 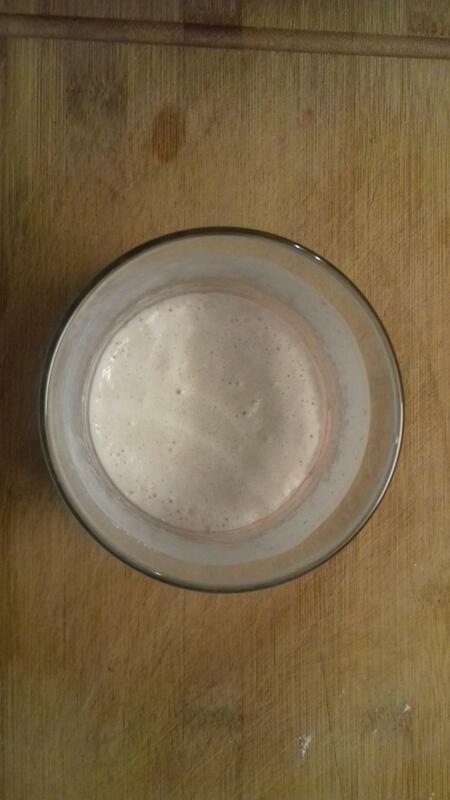 I was able to get hold of a dried starter culture and the instructions said to get it going again by mixing it with water first, let it stand for an hour, and then to add wholemeal rye flour, warm water, and to leave it in a warm place for eight hours to get an active sourdough starter: bubbly and smelling fruity/acidic. I tried that, and the mixture did exactly nothing after eight hours. Basically, it behaved just like a freshly installed new starter. Of course, I also ran a second batch alongside it, based on a feeding of pineapple juice and white flour, and sure enough, this one got going much faster, as usual. I chose white flour because I wanted to preserve the species in the dried sample as faithfully as possible and not introduce the spectrum present on our local ryes right at the beginning. Which seems to have worked because even though I feed my first rye starter and this one the same wholemeal rye now and they are both active, rising equally fast and making good bread, the smell of the formerly dried one is different from the first, milder and more fruity. I wonder whether you think drying a starter makes sense at all, or whether reviving it is basically the same as building a new one? And if it does, whether the type of flour matters that you feed it initially during its wake-up phase? as the whole population is sent into a dormant stage, doesn't that produce basically the same starting point as dormant cultures on fresh wholemeal flour?... I wonder whether you think drying a starter makes sense at all, or whether reviving it is basically the same as building a new one? And if it does, whether the type of flour matters that you feed it initially during its wake-up phase? Your reasoning is sound. I think it's hard to predict with any certainty, because there's just so much variability in the microorganisms and the circumstances. Some organisms desiccate more successfully than others; and the length of time they're held that way, and in what temperature and humidity probably makes a difference in viability and recovery time too. The odds are better short term, and probably go down over time. Not all yeast sporulate. Some that can, lose the ability in sourdough cultivation. So even if a starter revives successfully by all appearances, it could be minus one or more of the sub-populations. There are no guarantees that it will be the same. Clearly it works better for some than for others, so it's worth trying in that light. Like you, I would revive on white flour, but I would withhold the first feeding for a while after rehydrating the culture as your instructions say, to give the yeast the opportunity to activate first. That brings me to an important point worth backing up a bit for. In order for that hour standing time to activate the yeast (if it is fully dormant in the spore form), the pH needs to be low enough --- about 3.5, or at least less than 4. That is easier to achieve if the starter was good and sour before it was dried. If not, you may need to let it stand much longer until the pH drops low enough. Undiluted pineapple juice may or may not get you there if the culture isn't sour enough to start with. (The pineapple juice solution only utilizes it to deter certain bacteria, not to actually activate yeast.) Even though the pH of pineapple juice is around 3.5 on its own, when mixed with flour the pH is higher. You could add a pinch of citric acid (sour salt) if necessary, but it would be best to do so if you can monitor pH as you do, because it's a stronger acid. White flour is the best choice for reviving a dried culture for two reasons. First and mostly, because there are fewer microorganisms to contaminate the culture you're trying to revive. And secondly, white flour has less buffering capacity to raise the pH while you're coaxing the yeast back to life. White flour can provide all the nutrition they need. I also think it's important not to give a second feed unless and until there is evidence of life after the first. Each time you feed after that, you'll just be discarding and diluting the culture if it isn't regenerating itself. For that reason (and the pH), you won't want those feeds to be too big until it takes off either. So the same basic advice applies here, except using white flour: Before yeast activate, don't feed too much; after yeast don't feed too little. again, you add some very interesting information that I had never thought about. I'm curious to know what time spans you have in mind when you say "The odds are better short term, and probably go down over time." Days? Months? Years? That starter I revived with white flour works very well but has a milder flavour than the one I built from scratch (which is nice for some breads), so it seems the yeasts survived just fine but maybe not the whole spectrum of LAB that may have been in the original culture (which was rye-based just like mine). Fascinating stuff! It depends on the culture, of course, but if drying works for yours, then short-term might be 2 weeks, or it might be 3 months. And long term could correspondingly be 3 months, or up to indefinitely. It's certainly worth trying. Dry a good amount, record the date and revive fractions of it at various lengths of time. That's really the only way to know for sure if it's a safe way to keep your starter, and how often you might want to replace your dried backup. "...I have dried starter by pouring a thin layer on parchment-covered jelly-roll pans and leaving it at room temperature until dry. I break up pieces of the caked dry starter and store them at room temperature in small freezer-type zip-top bags. To restart, I crumble the pieces as fine as possible, soak them for a day in slightly warm water (105ºF/40ºC), then begin feeding regularly..."
It is refreshing to see that she allows a waiting period between rehydrating and feeding, but I would not give the second feed until it takes off. That might be right away, or there could be more of a delay the longer it's been in storage. I've been trying my starters in Honolulu with the same results as you folks: Yucky! I stumbled onto your site and the science sounds good. However, when using pineapple juice, wouldn't the sugars from the juice create more of an alcoholic fermentation versus a bacterial fermentation? I know that regular commercial jar yeast at the markets, creates an alcoholic fermentation thus getting a nice even rise. That's why so many bakers like it since it's so reliable. However, the gluten is not broken down the way bacterial fermentation would. The reason why I like sourdough is the fact that the gluten is broken down, I'm making it and it has some of my own home beasties in it too. From a health point, this is a better way to eat yummy bread! MMMM, mmmmm! My research showed this was the norm prior to WWII. Gluten sensitivity not a problem then. Of course, our modern wheat is a tad different than before but we can still make great tasting, healthy bread, right?! So what is your take on the juice sugars creating an alcoholic fermentation? Thanks! when using pineapple juice, wouldn't the sugars from the juice create more of an alcoholic fermentation versus a bacterial fermentation? In a nutshell, no. Sugars can't create fermentation, microorganisms do. As you note, yeast perform alcoholic fermentation. But in the beginning when you add the pineapple juice there are no yeast growing. On the other hand, there are plenty of active bacteria, and they can ferment sugar too. Theirs is called lactic acid fermentation because that is the primary end product, but some alcohol is created as well. At any rate, the pineapple sugars don't change the end result of the starter-making process. I read and re read your blogs posts and comments several times. I had already started my starter with water and flour equal parts by volume - did a 2 cups each. But found your blog after. It was too late for the PJ solution. I already had bubbles the second and third day. Then it went silent. I have been all over the map in terms of measurements when it comes to feeding the starter. The flour I am using is Bread flour and White flour 50/50. The last 2-3 days I do smell something sweet, alcoholy and paint thinner to various degrees. Another bit of info: I love sauerkraut, kimchi, idli/dosa and yogurts. We buy store made kimchi often. Make idle batter at home - sours in 12 hours. We also make yogurt once a month. Will this be a problem my ongoing starter culture? Is there a recipe you would suggest as a beginner to go for in terms of baking the first bread? Can I just use all purpose flour - seems easy to get large bags where I live. Finally, your explanations and posts have been the most enlightening so far from what I have come across in terms of demystifying the process. Thank you so much!!! Looking forward to your book in case you are writing one! The starter doubled 5 and half times before calming down. I kept stirring it back down every hour in the beginning and the last one few hours later. So i guess I have a good yeast population!!! Sounds like your starter is ready to make some bread :) I don't have a particular formula that comes to mind, although you could try the 1-2-3 sourdough that many on this site have used. You will find success quicker and easier if you start with a simple, basic white sourdough bread --- unbleached all-purpose with a hydration that's easy to manage. Save the whole grains and higher liquid levels until you have produced some decent white loaves. If you have problems or questions, don't hesitate to post them along with photos in a new forum post, or start a blog to track your progress. Consider getting a scale so that you get more consistent results, and the folks here can better help you. I recommend that you reduce the amount of starter you're keeping to fit the container, or find a bigger container to keep it in. If you stir it back down every time it doubles, you won't be able to judge maturity and the proper time to feed or use it. Ideally you would let it rise undisturbed so that you can see when it peaks and when it recedes. I followed a 123 formula online which suggested I use bread flour (I had some available as I had already bought it). I used 400ml water, 200 grams sourdough and 600 grams Gold Medal bread flour and 12 grams of salt. 4. Was very chewy and very mild sour taste (just a hint). B-? 5. Parchment stuck to the dough - Failing grade???? and start posting blog entries 😊! That's all-around great, especially for a first bake. I'd say A to A+. Btw, I have noticed that, sometimes, if I've proofed and baked my loaf on the same sheet of parchment, the moisture seeping from the bottom can indeed make for stuck parchment. No worries, just let it cool as is. It'll practically let go on its own. You've now graduated to your very own blog :) Keep up the good work. How to evaluate the starter? When I use water i can evaluate how the smell changes during time. From what clue we can judge is the right moment to use water instead of pineapple juice? Is your starter rising between feedings? How are you feeding it right now, and how many days since you started your current one? at first, when I use pinepple juice my starter grows very quickly, and so the days after.. I generally feed my starter every 12 hours at 18-20° room temperature, this is sufficient for the starter to begin to collapse and triple (with pineapple juice).. I would like to focus the attention on what you wrote: "decrease the ratio of mature starter to fresh flour and water a little at a time." I use a 1/1/1 ratio during refreshments, do you mean that I should modify the feeding ratio when the starter is more active? for ex. 1/2/2 to avoid "underfeeding" problems? or maybe 1/1,5/1,5.. I think that 1/2/2 slow down the speed of growth instead of 1/1/1 but this is not what I'm searching for..am I correct? Debra Wink's Recent Blog Entries.